Free Chlorine High Range Water Quality Test kit. Designed to resist interference from monochloramines, Free Chlorine High Range is the ideal product when testing in a food processing environment. With its wide range of detection, from 0-120 ppm (mg/L), Free Chlorine High Range is perfect for determining whether or not you have the correct amount of sanitizer present. Because all of the reagents are impregnated on the test strip pad, and no external chemicals are needed to perform the test, Free Chlorine High Range is perfect to take directly out onto the shop floor; thus reducing the amount of rejections and misadjusted processes. Looking to test for higher Chlorine levels? 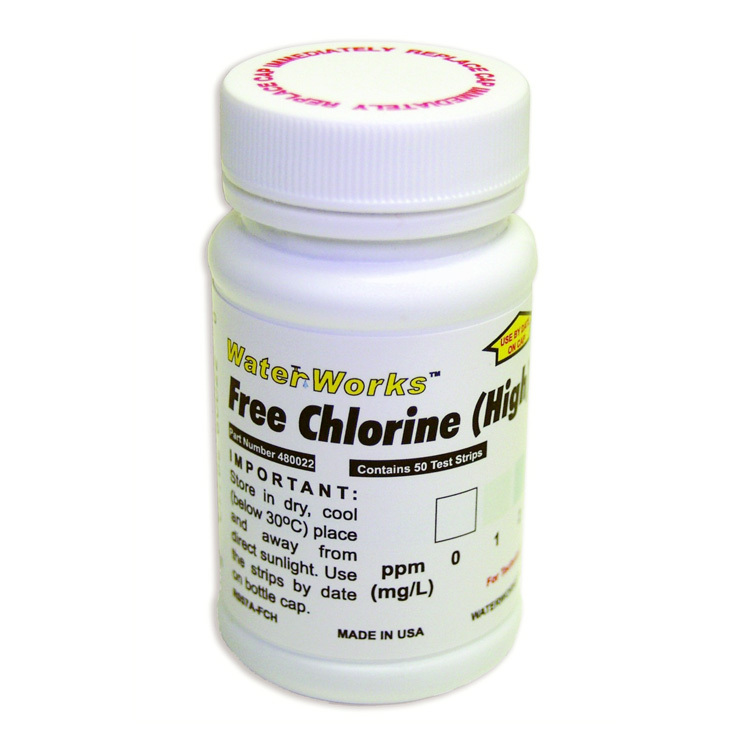 Check out our Childcare Test kit for Ultra High chlorine.